My son loves this toy. It is very sturdy and he loves taking the attachments on and off. 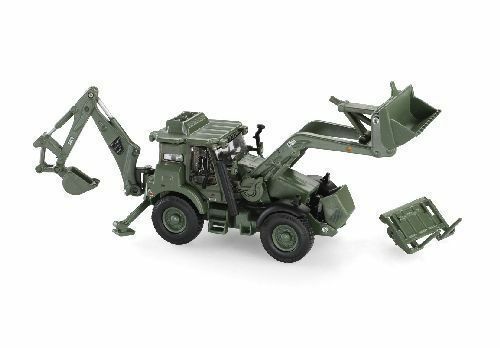 It digs dirt just fine and and he loves the army green color. A Very Good Backhoe. I thought it'd be mostly plastic, It's made Mostly of diecast Metal. There's a very nice surprise included with this, not mentioned in the add. To find out what it is, buy one & see for your self. I was pleased with it, & I feel you will be as well. A Very nice addition to any collection. 3000toys has High standards for it's customer Satisfaction. With Items like Motorart, They surpass their own standards of quality merchandise. You get a great Product, Super fast Shipping, Great Shipping prices,& reasonable prices. I'll be a Repeat Customer for sure.